Welcome to Barker Bay Resort & Outposts! Your hosts Wayne & Robin Soderlund welcome you to their Canadian Wilderness Lodge and invite you to experience the beautiful and extraordinary "Manitou". At Barker Bay Resort & Outposts it is our intent to provide you with an enjoyable stay while offering the unique opportunity to explore the Manitou Lake region. 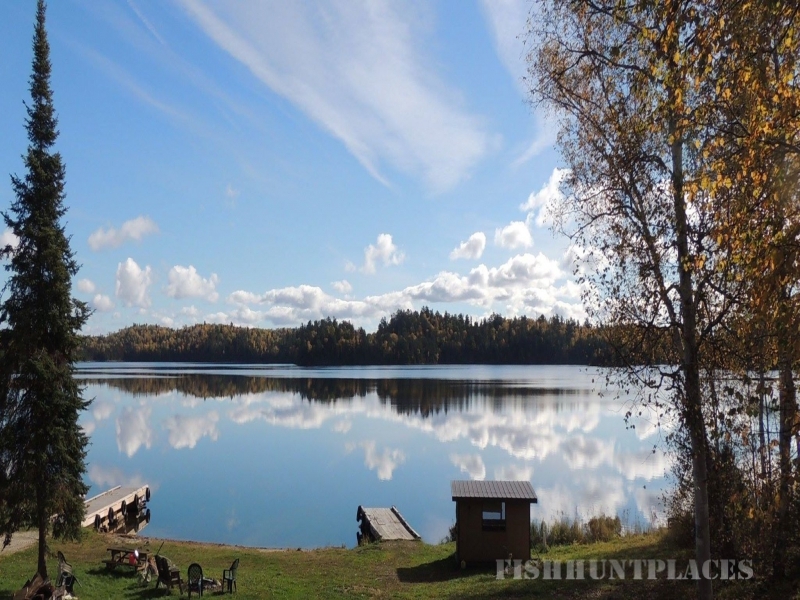 We are located in the middle of the Manitou system, which is a pristine waterway and wilderness region with abundant wildlife and is an incredible fishery with Lake Trout, Small Mouth Bass, Northern Pike and Muskie. 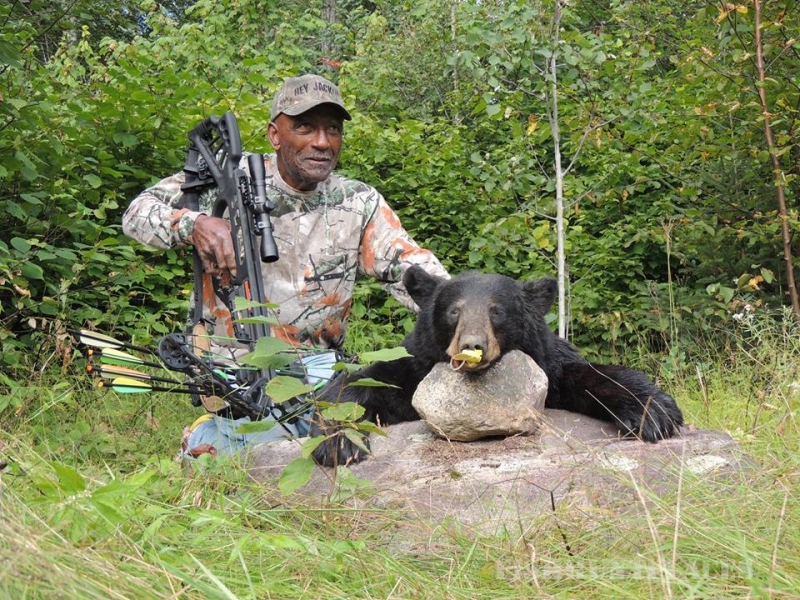 We often see Black Bear, Moose, Whitetail Deer, Timber Wolves and Lynx. We have gone green using solar, wind and a back up generator for 24 hour power and take pride in our unspoiled wilderness. For those of you who need to stay in touch, we do have wireless internet. 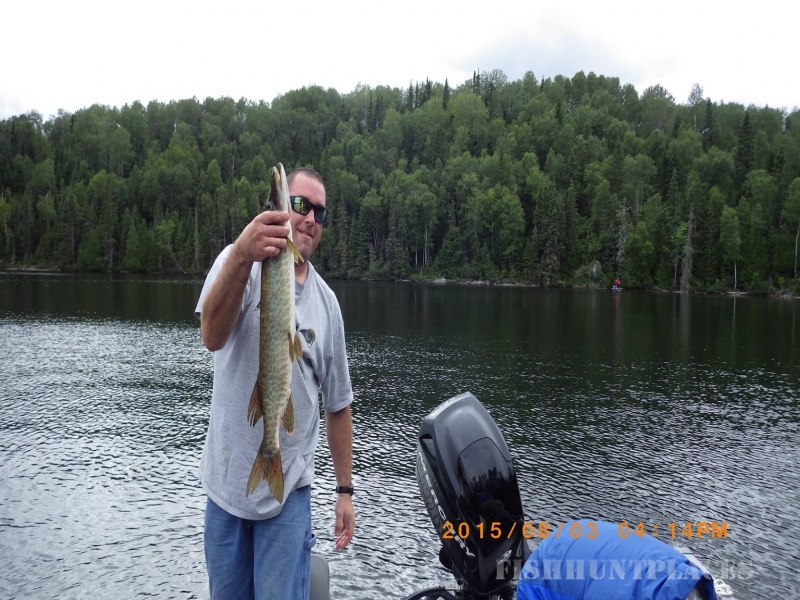 Fantastic Fishing at Barker Bay Resort & Outposts! 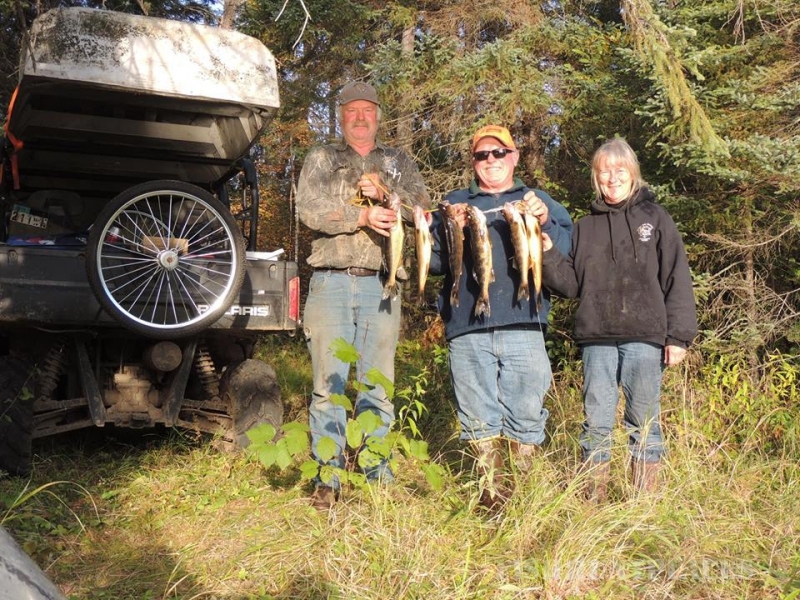 Barker Bay Resort on Scenic Lower Manitou Lake is 20 miles by boat from Esox Landing or 50 air miles from Fort Frances which is located on the Ontario/Minnesota border at International Falls. Charter Flight service is available, contact us for more information. 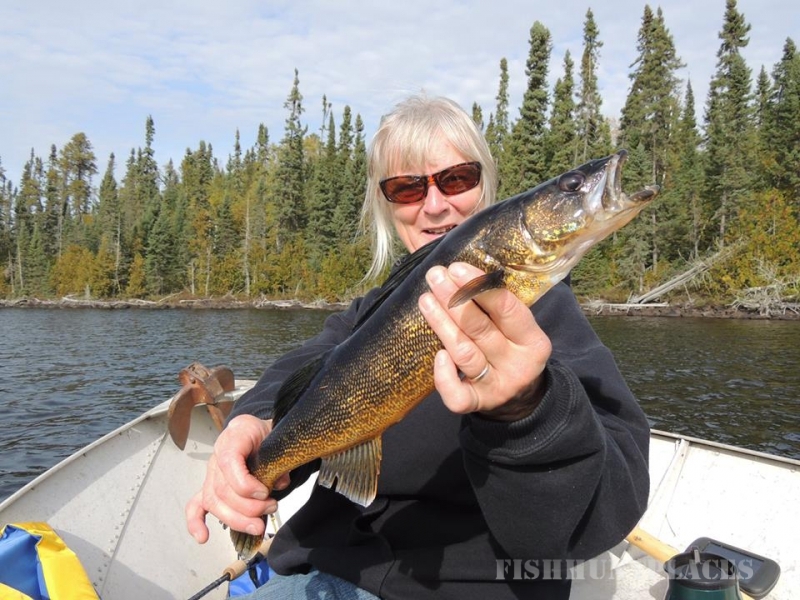 The waterway consists of Esox Lake, the Manitou Stretch, Lower Manitou Lake, the Manitou Straits and Upper Manitou Lake which together is over 32,000 acres. The crystal clear waters can reach depths up to 300 feet. The rocky shoreline, numerous islands and many bays give great structure for fishing and also offers shelter whether it is windy or calm. 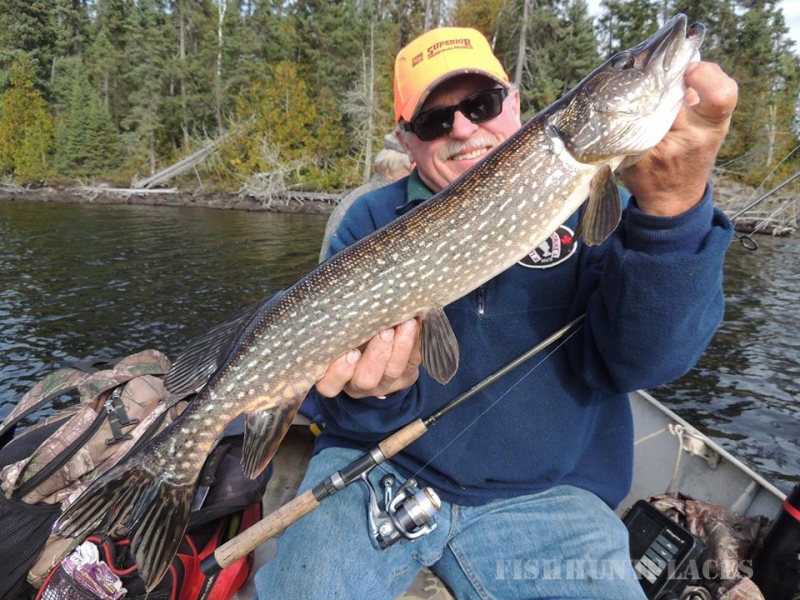 With this variety of waters it consistently produces above average catches of LAKE TROUT, SMALL MOUTH BASS, NORTHERNS and those MANITOU MONSTER MUSKIES! 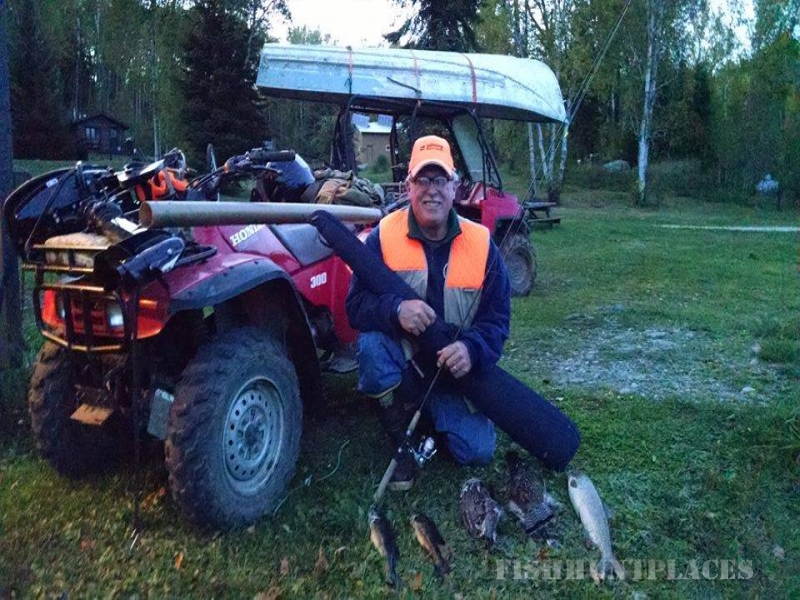 Hunting at Barker Bay Resort & Outposts! 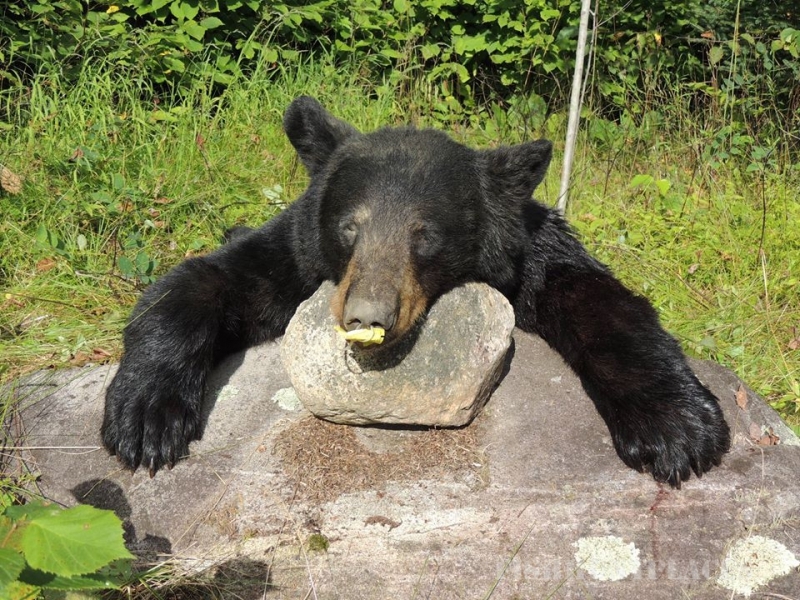 The Bear Hunt opens on August 15th and by this time we have been feeding the bears for 5-6 weeks. 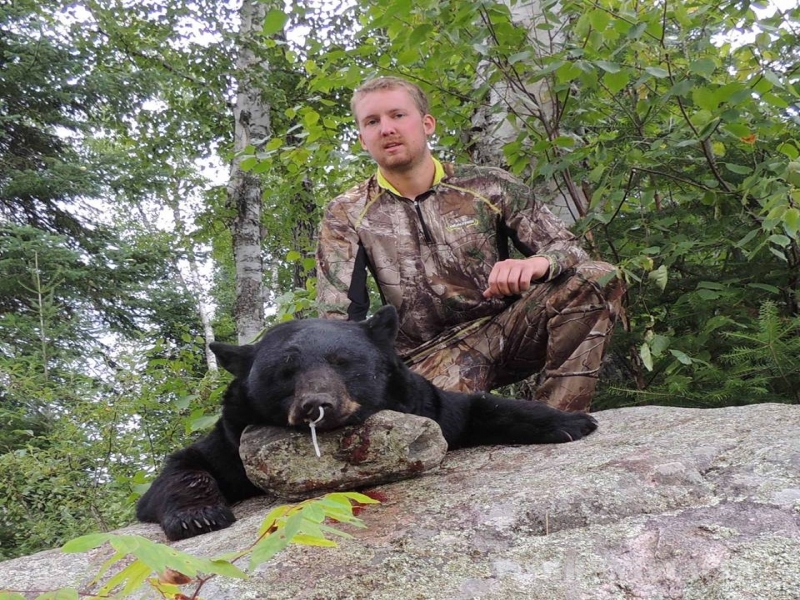 We normally hunt until the end of September and welcome both rifle and bow hunters. 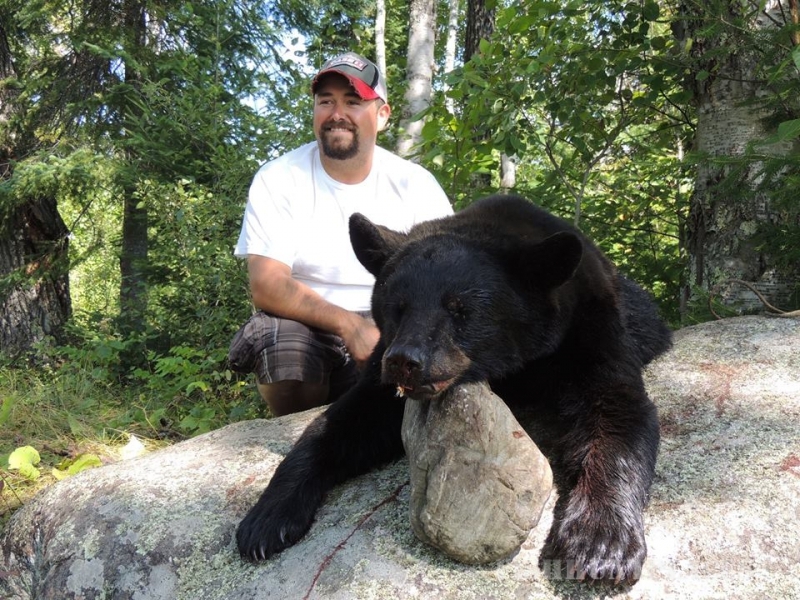 We have two 125 square Kilometer Bear Management Areas where only our guests are allowed to hunt. 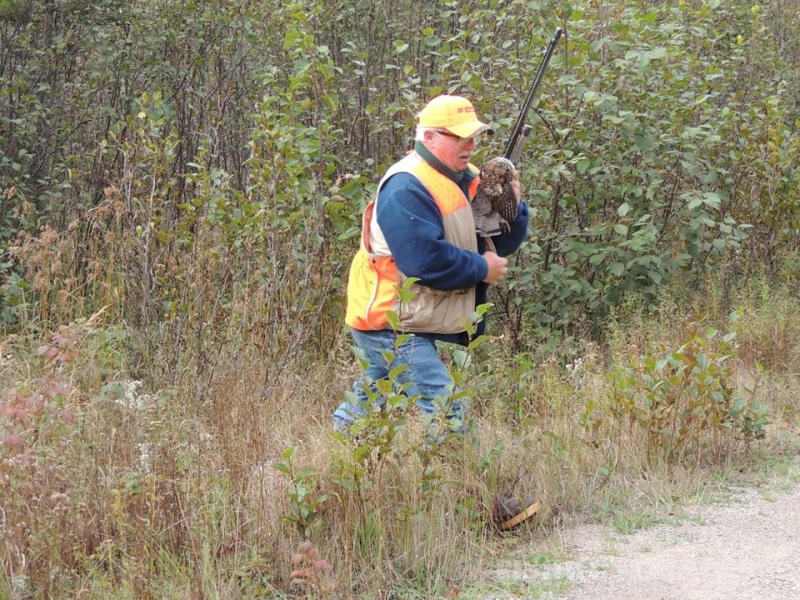 Many of our bait areas are located off old logging roads. We take you from camp in our double cab side by side wheelers to our truck and then to your stands. 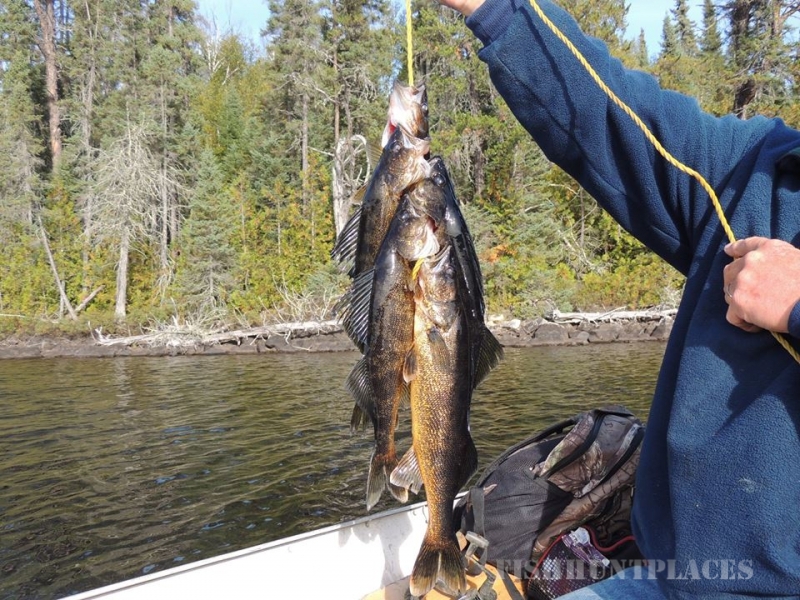 The fall fishing is great and many hunters decide to fish the mornings and hunt in the afternoon/evenings.